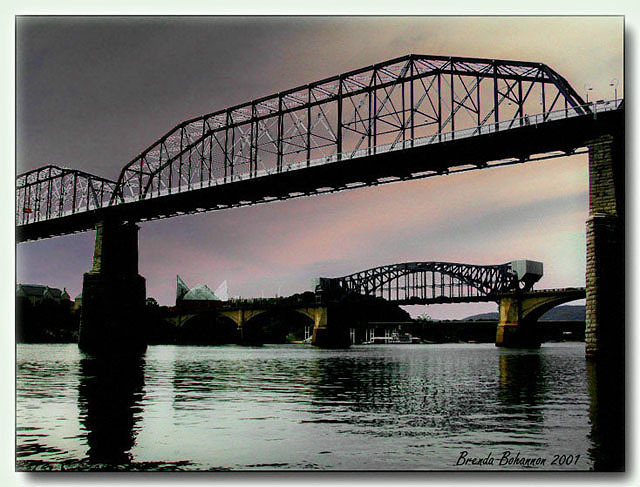 Фото "Bridges Over the Tennessee"
Great work!Very fond of bridge shots and this one is excellent! Nice composition and colors, Brenda! This photo is wonderful.The silhouettes are great. My congratulations, Brenda Bohannon. Great work Brenda...Nice composition and perspective. A very good perspective ! Very beautiful composition, congrats Brenda !! beautiful and excellent composition, Brenda! !